It's the season of layoffs and you are definitely worried. Your close friend has just lost his job and you are worried. Perhaps you're next. Finally...Some luck. A very good Company has called you for an interview. You're happy and worried at the same time. There's pressure to ace that interview. Before attending that all important interview, there's something you must know. The moment you enter the interview room, the interviewer is watching you. He's studying you. You definitely want to be at your best, but your body is emitting signals. What signals and messages are you sending with your posture and facial expressions? Want to know more on financial planning? We at IndianMoney.com will make it easy for you. Just give us a missed call on 022 6181 6111 to explore our unique Free Advisory Service. IndianMoney.com is not a seller of any financial products. We only provide FREE financial advice / education to ensure that you are not mis-guided while buying any kind of financial products. To get the latest news on investment planning please download WealthDoctor App Now! Avoiding eye contact is a sign of a thief and a liar. You definitely don't want to be sending this signal. An interviewer may look intimidating and you prefer to look away. You must avoid the urge to do so. You can say a lot with your eyes. Make sure you look the interviewer in the eye when he asks you questions. You can look away for a moment but don't stare at him. Maintaining eye contact during an interview is a sign of confidence. This is a definite No. It's tempting to relax and make yourself comfortable in the chair. The interviewer gets the impression you are indifferent and too casual and this would be the way you work. You must sit straight in the chair and look natural. This shows you are paying attention and this reflects in your job. Never cross your arms as this shows you are hiding something. This shows the interviewer you are a YES MAN. Nobody likes a Yes Man. Sometimes its right to disagree. Interviewers can be tricky. They would ask you a question and would like the most probable answer. You can't get away by nodding your head. If you keep nodding your head, it gets difficult to present your point of view to the interviewer. There's nothing worse than a weak handshake. The interviewer gets the impression, you're not confident. This could cost you that job. You need to show you are confident to handle the job. A firm handshake does the job. Do not crush the interviewers hand while shaking it. He won't thank you for it. You love playing with your pencil at the interview. Don't do this. It can be a costly mistake. Don't keep shaking your legs or crossing and uncrossing your arms. 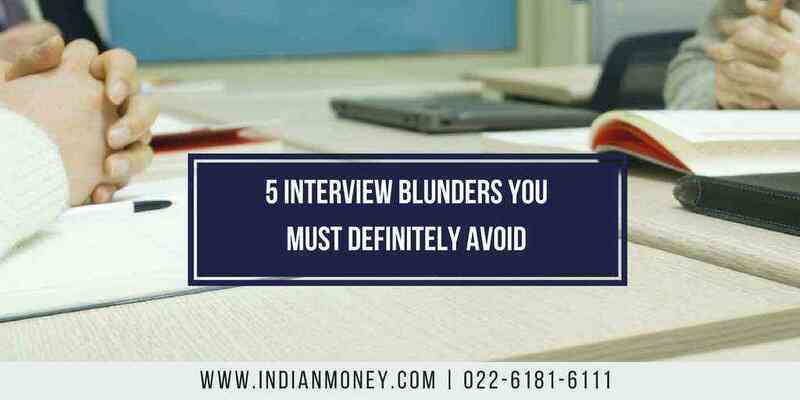 It irritates the interviewer and you definitely don't want to do that. Avoid foot tapping, fidgeting with objects at hand or shaking your legs at that interview. You would be better off clasping your hands to the side of your body. So how to ace that interview? Nothing beats preparation. So prepare for your job interview. Read about the Company and gather your thoughts. Practice your interview skills in front of family members. Collect feedback on your performance. You would be full of confidence when you face the actual interview. Finally...Take a few deep breaths before the interview to beat nervousness and crack that interview. Be Wise, Get Rich.